With a 12 fold (almost 1,120 percent) increase in U.S. college tuition over the past three decades, many higher-education establishments are assuming more commercial undertakings. 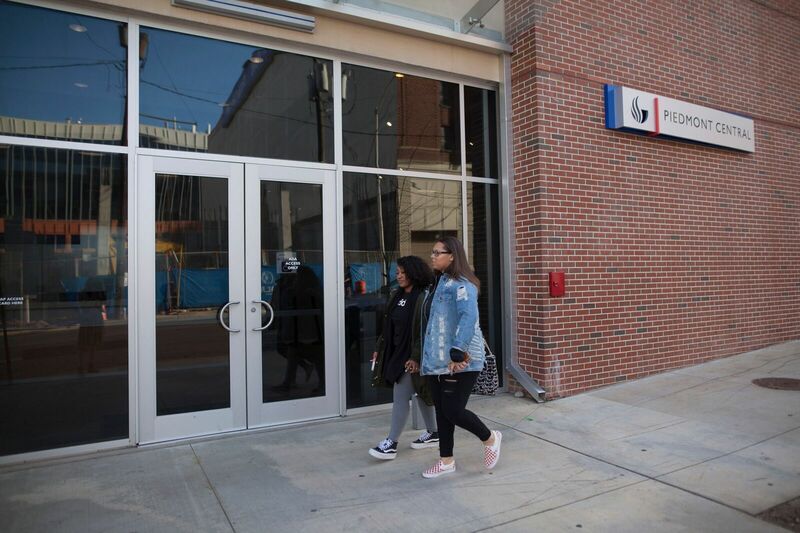 Georgia State has seen substantial development expansions in the past decade, from the 2011 installment of the Honors College program to the 2016 construction of Piedmont Central to the recent 2017 acquisition of Turner Field. Some of this development has concerned Georgia State administrators in the past. After the $168 million project University Commons was constructed in 2007, Georgia State officials said they were “worried about the impact of pricier housing on the ability of students to earn a degree,” according to a 2017 The Atlantic article. Their solution was the installment of Patton Hall in 2009, which provided a cheaper and more accessible housing alternative to students. Colleges are “spending less on high-end amenities,” and Patton Hall was Georgia State’s attempt to adapt, according to a 2017 Signal article. But only a couple of years after the $10 million Patton Hall was built, Piedmont Central was constructed in 2016 for approximately $32 million. In a housing and meal rates report for the 2018-2019 academic year, the total cost per semester for Piedmont Central is $4,759 to $5,858, roughly the same as the total cost for University Commons, which is between $3,228 and $5,462. When split between roommates, a room at Piedmont Central ranges from $2,775 to $3,874. For some students, these housing costs are not nearly as modest as they would prefer. Georgia State psychology student Fiona Niedorf lives at Piedmont Central, and said that she believes the price for her room is not worth it. She said it costs $4,722 a semester to dorm at Piedmont Central, and explained she thinks she would have more “options and versatility” if she were to move somewhere else nearby. “I am so inconvenienced living here. Honestly, it’s just a rip off, and it’s just a lot of money for a very terrible living situation,” Niedorf said. Sydney Lord, a Georgia State public policy major, agreed with Niedorf’s sentiments about the cost of housing. Lord said that in the 2017 spring semester, she experienced administrative issues with her financial aid, and that it was the first time she ever had to take out student loans for school. She explained that if she had to pay for university housing of any kind at that time, she would have had even more financial trouble because of the prices. “If I were in a position where I had been dorming or something and I was paying that money, that would have been really bad for me. I just got kind of lucky,” Lord said. So is Georgia State’s initial worry of the impact of pricier housing on students still a concern for officials? “Financial issues are the number one reason our students drop out. Our mission remains the same – keep housing, tuition and fees affordable so students can earn their degrees,” she said. She also noted that Georgia State is active in advising students on financial matters, and that Georgia State opened the SunTrust Student Financial Management Center in 2016 “to help students stay on track financially.” She said the center had approximately 72,000 visits over the last year. “The University is paid for services that it provides to Corvias. We are paid for security and student life and programming such as resident assistants. The remainder of the rents stay with Corvias for maintenance, custodial services, debt service and their corporate costs,” she said. Partnerships like ones with Corvias are highlighted in Georgia State’s Strategic Plan, and more recent Georgia State initiatives emphasize officials’ goals of further advancing university research and infrastructure. These initiatives also focus on broadening international recognition and “magnifying the reputation” of the university. Jones added that, from a construction standpoint, the university has goals of expanding research facilities, building a greenway through campus and establishing a multi-use convocation center. It is currently uncertain how future Georgia State development will affect costs for students, or if the focus on broadening the university’s reputation will benefit future affordability.